Sound Equine is proud to now offer dog and cat services! We aim to provide an exceptional healthcare experience. Whilst combining our knowledge and expertise, we will educate clients and each other to achieve optimal health, performance, and welfare for our patients. We strive to inspire and be inspired in the process! 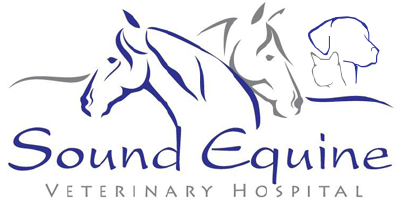 Sound Equine is Western Puget Sound’s only full service equine hospital. Since acquisition of the practice in 2005, Dr. Hills has made consistent efforts to improve and modernize both the facility and the services offered to our clients which includes the addition our other veterinarians Dr. Claire Smith and Dr. Beau Green. We are focused on the ongoing education of our staff and clients to deliver coordinated, progressive equine and small animal care. Drs. Hills, Smith, Green and the Sound Equine staff are committed to ongoing professional education as well as the continued development of the Sound Equine hospital facility. Providing state-of-the-art services and therapies are key to providing our clients and their animals the very best veterinary medicine available. The team at Sound Equine Veterinary Hospital is committed to expanded emergency services available to our equine clients 24/7, year around. We are also happy to work with your vet/farrier on a referral basis, with any of our updated services and therapies including emergency hospitalization. We offer our referring doctors the highest standard of coordinated care possible, as well as timely communication and detailed discharge instructions. Emergency Service: 24 hours, 7 days a week, every day of the year. I believe that when trust, honesty, and fairness are given, these gifts are returned. Our practice is oriented towards wellness and I enjoy a professional yet personalized relationship with my clients and patients. After seriously considering making a career of riding, Dr. Smith started pre-veterinary course work in California and then enrolled in veterinary school at the University of Wisconsin. In addition to the regular curriculum, she completed nine externships at some of the top equine hospitals and practices in the country. Dr. Beau Green holds a B.S. in cellular, molecular and developmental biology from the University of Washington and graduated from WSU College of Veterinary Medicine. Following veterinary school, Beau completed a year-long medicine and surgery internship at Bend Equine Medical Center. His veterinary interests include emergency care, dentistry, ophthalmology, and endocrine/metabolic disease. Carolyn Hope joined us after graduating from the University of Wisconsin in 2014. She has a Bachelor of Science degree in Animal Science Business. Her first ever job was at an Equine Clinic in Wisconsin, which is where she is originally from. She has had a passion for horses, particularly American Saddlebreds, all her life and knew she would eventually end up back at an equine clinic, her original love. She has worked previously as an equine surgical assistant, a large animal barn crew member at the University of Wisconsin Large Animal Veterinary Medicine Teaching Hospital (UWVMTH), a pharmacy assistant compounding veterinary medication at UWVMTH, and a small animal receptionist. Carolyn Hope is also bringing to us our office dog, “Dutch”. “Dutch” is a friendly, 4-year-old Soft Coated Wheaten Terrier. You will often be greeted in the front office with a lick or a tail wag! In her down time, Carolyn Hope enjoys riding all different breeds and disciplines of horses, watching football (Go Badgers!) and spending time at the barn with “Dutch”. Mariah is joining us as she completes her bachelor degree in elementary education. She has worked and ridden at several of the local barns ranging in disciplines from hunter jumper, gaming, western pleasure, and western dressage. 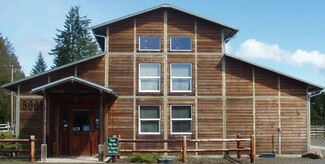 Mariah has managed several barns in the Pacific Northwest and taught lessons to equestrians of all ages. In her down time she enjoys knitting, spending time with her daughter Olivia (who you will occasionally spot in the office), working with her daughter's Shetland pony Trigger, trail riding, hauling to dressage shows, and enjoying the beach with her daughter and Lhasa Apso x Mini Dachshund Minnie. Morgan Griffith, a native of Montgomery, Alabama, started riding at age 13 at Merri Mac Farm where her passion for animals started to grow. Morgan first moved to Washington with her husband in 2011, and connected with a local barn and found a love for Eventing.In 2014, her husband received military transfer orders to Virginia where she worked for military stables and was a barn manager and riding instructor for a private Hunter/Jumper barn. In 2017, they moved back to Washington and decided to stay, buying their first home in 2018. Morgan’s free time is spent with her two dogs Roxy, Miniature Schnauzer, and Espresso, Silk Hair Terrier x Maltese, riding at Black Tree Farm, enjoying local Horse shows, hiking and being outdoors. Allyson was born and raised in Kitsap County. She has always loved animals and planned on getting into a vet assistant program after high school. While checking out schools in the area she learned about a Horse Management program through Green River Community College. She completed their program in 1986 and started working with Arabians as a show groom. During that time she met her husband Greg (a horse trainer).They married in 1990 and have four daughters and a grandson. Their work has taken them to farms in the Mid-west, the Southwest, the Rocky Mountains, and the West coast. In her free time Allyson enjoys hiking, trail riding, reading, and spending time with family. I began riding at 6 and talked my parents into buying a horse at age 10. I have shown English, Western, and Driving with everything from miniatures to 17h Thoroughbreds. A winding path has led me to a Bachelors in Ecology from The Evergreen State College, a Certification of Equine Massage and a herd of miniature horses. Still not sure how these little horses took over my life but they are an adventure in training, breeding, and showing.